KINETIC CARNIVAL: Coney Island Summer Entertainment Full Of Ohhs And Ahhs! 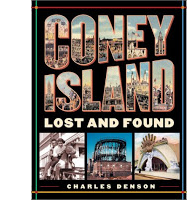 Coney Island Summer Entertainment Full Of Ohhs And Ahhs! This summer season the entertainment comes packed and ready to amuse. 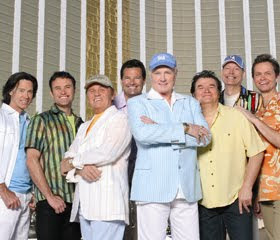 The hits keep coming at Asser Levy Park, with The Beach Boys tonight (Thursday) and SHOUT! The MOD Musical on Tuesday. Meanwhile, the beach and boardwalk remain a flutter with a fashion show, sand sculpting, singers and dancers, all lit up by fireworks and the full moon. 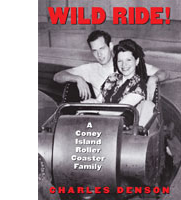 See below for more information, and visit The Coney Island Fun Guide Calendar for day-by-day listings. The free Seaside Summer Concert Series continues tonight (Thursday) as The Beach Boys take to the stage at Asser Levy Park. The Happy Together Tour also joins them, featuring Micky Dolenz of The Monkees, Flo & Eddie from The Turtles, and Paul Revere & the Raiders co-founder Mark Lindsay. Bring a chair or blanket, grab a spot on the lawn, and sit back to enjoy some classic pop tunes! This Friday, the Cyclone Roller Coaster hosts its T-Shirt Design Contest and Fashion Show. Come see the top designs showcased as the official t-shirt for the 2011 season is chosen. You'll also have the chance to play trivia with Quiz Master Noah Tarnow, win free tickets to ride the Cyclone, and enjoy the hula hoop stylings of Miss Saturn. Kick off the weekend with this free event, followed by Friday Night Fireworks! Professionals and amateurs alike compete in Saturday's 20th Annual Sand Sculpting Competition sponsored by the Astella Development Corporation. If getting sandy's not your thing, you can still enjoy the boardwalk spectacle including belly dancers, Ringling Bros. and Barnum & Bailey clowns, opera singers, Latin music, and scenes from the Broadway show Imaginocean. Come be inspired and share in this full day of community events! Can't get enough of the 60's? SHOUT! The MOD Musical comes to Asser Levy Park on Tuesday. This all-girl musical follows five groovy gals coming of age in England during the swinging decade. Follow their non-stop journey accompanied by the day's infectious pop anthems and ballads. These Tuesday events are always free of charge, just remember to bring a blanket or chair! The WCS New York Aquarium hosts Pay What You Wish Fridays on Friday afternoons all summer long ! New York's "other Subway Series" starts Friday, as the Brooklyn Cyclones host the Staten Island Yankees! Check out their schedule for promotions and ticket deals! The full moon means Cyclone Full Moon Rides! Come in Vampire makeup or dressed like a Werewolf to receive $2 off the Cyclone Roller Coaster ticket on Monday from 7pm to closing time. In celebration of being only a hop, skip, and subway ride away, the MTA is running the MetroCard Deals program all summer long! 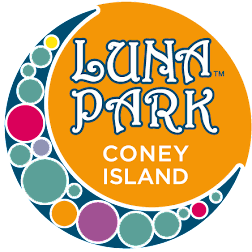 Just show your MetroCard and a quick-print coupon to receive amazing discounts and promotions at Coney attractions!